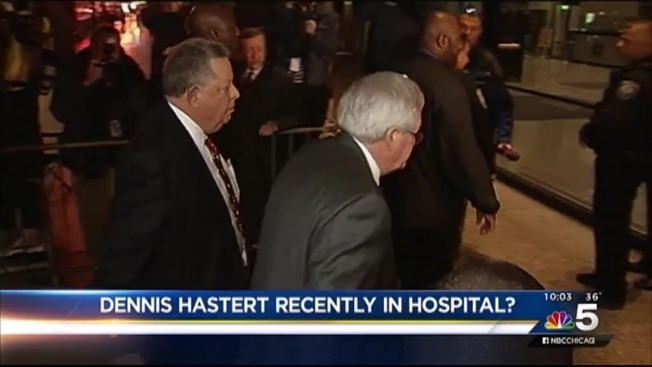 A letter recently written to the judge in Dennis Hastert’s hush-money trial indicates that he was recently hospitalized. The Associated Press reported in July 2006 that Hastert was hospitalized for cellulitis, a skin condition. Hastert is due to be sentenced in February for making illegal bank withdrawals, reportedly in an effort to cover up sexual misconduct against a student when he was a high school coach. Former Speaker of the House Dennis Hastert pleaded guilty Wednesday to charges that he intentionally disguised large bank withdrawals in an effort to conceal payments to a past acquaintance. 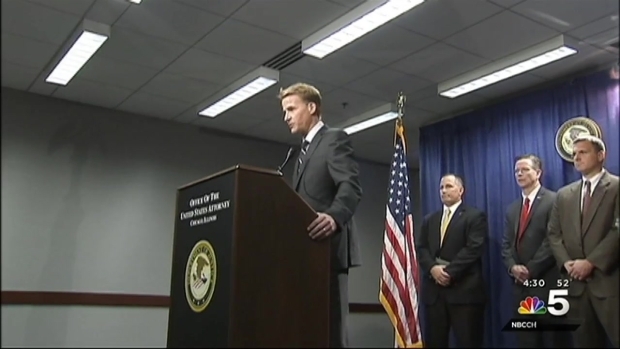 NBC 5's Phil Rogers reports.